Moving out of home can be an extremely exciting but daunting process. Leaving mum, dad, siblings and the old family dog behind is a huge move that comes a newfound sense of freedom and independence, but also a new set of responsibilities. All of a sudden, you are accountable for solely looking after your own belongings. This might sound like a piece of cake, but before you tune out, think about this: can you afford to replace your belongings if they are damaged, broken or stolen? Most people’s answer to this question is ‘no’. If you are one of those people, think again. In the case of an accident or theft, you could lose the entire contents of your home. That means you would need to replace all of your home entertainment items, kitchen appliances, furniture, homewares, clothes, accessories, linen and bedding, art, photos….you catch my drift. You could be up for the lot! Home contents insurance is a worthy investment that can help you recover the costs of replacing your belongings in the event that something happens to them. Sadly, for some people, insurance is an afterthought – they wait until the unthinkable has occurred and then wish that they had have taken out the insurance they needed. 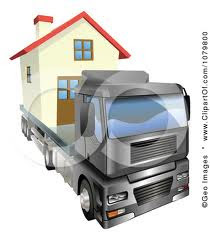 So don’t leave insurance to the last minute - even before you find a removalist, you want to think about home contents insurance. It can protect you financially if you have to replace your clothes, furniture or electronics due to accident or theft. 2. the amount you want the insurer to pay you if you have to make a claim. The other key determinant is the situation you are in. If you are moving into a shared house, you may need to shop around for an insurer that will cover you. This is because it is usually harder to control who stays in or visits a shared house and therefore, those who live in them are more susceptible to damage and theft. This is not an easy question to answer, but a good way to approach this is to list all of your personal belongings and how much it would cost to replace them. Don’t be fickle or overly conservative - the reason for taking out insurance is so that it covers everything so make sure you list all items and a fair cost to replace them. It’s even better if you have photos or receipts proving the value of the items you wish to insure. This will help you to verify the value of the particular item in the event that you need to make a claim. You can take out home contents insurance regardless of whether you own your own home or you are renting. It is protection with piece of mind and that is priceless. Wow, really detailed tips. I like how you write. Keep it up Lina!